Platax batavianus Cuvier 1831, the Humpback (science) or Zebra Batfish. Indo-West Pacific; Madagascar to Indonesia. To twenty inches in height. Occasionally offered in the trade. 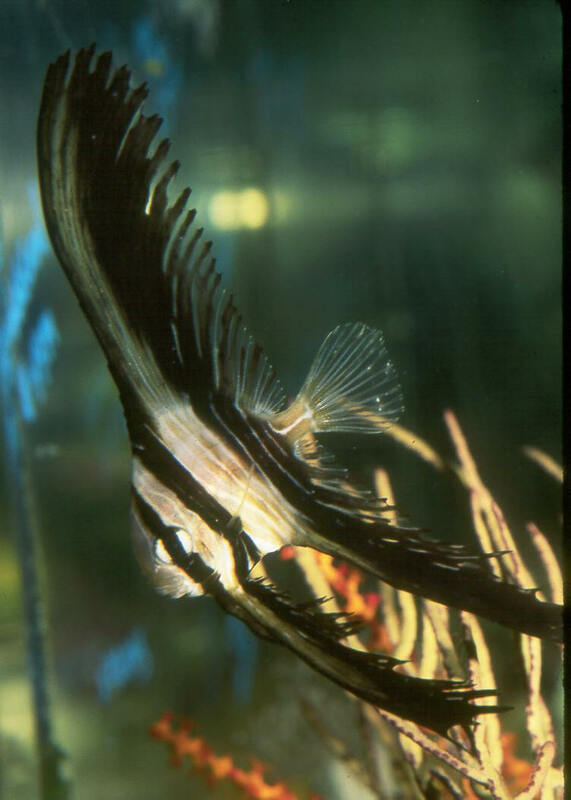 Should you be fortunate to chance upon a specimen Platax batavianus it's a real striker as young, with alternating black and white banding covering it's entire body surface. 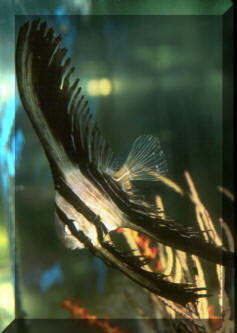 Six inch tall specimen Aquarium image. 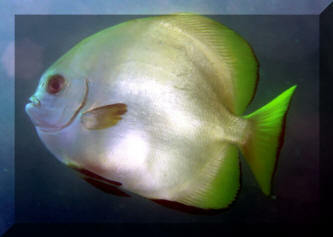 Platax boersi Bleeker 1852, Boer's Batfish. Indonesia, New Guinea, Philippines. To sixteen inches in length. An adult off of Mabul, Malaysia. 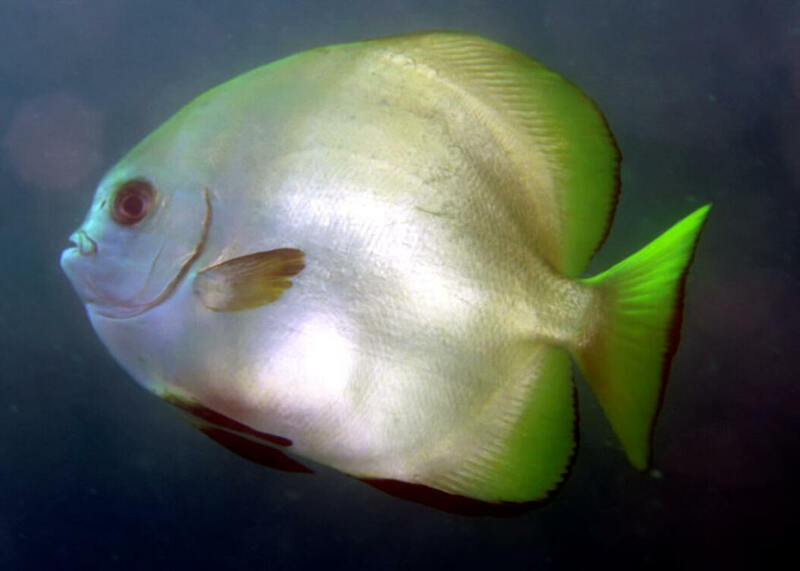 Platax orbicularis (Forsskal, 1775), the Orbiculated, or Round Batfish is the "ugly-duckling" of the genus as young, being very plain brown, with some black spots, and the least tall as a juvenile. A six inch tall juvenile in Lembeh, N. Sulawesi, Indo. Samaris cristatus Gray 1831, Cockatoo Right Eye Flounder. Indo-West Pacific; all of Indian Ocean to Noumea. To 22 cm. Found on silty sandy bottoms, whipping out their under-tucked longer dorsal fin rays to confuse potential predators. N. Sulawesi image.